For a limited time only we are offering a complimentary cover letter with every Entry-Level and Professional-Level resume. That's a $49 value! 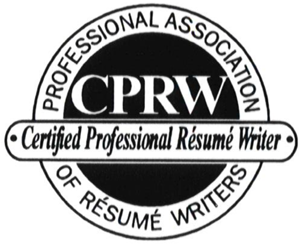 Let us know how we can assist you with all of your resume writing needs. For those with limited career experience, less than 2 years. For those with more than 2 years of industry experience, managers, and professionals. For those seeking a Senior-Level or Executive position within your current career industry. A tailored cover letter to accompany your resume. A professional letter matching your resume. For those wanting to specifically target an additional career direction. If you need your new resume or document in less than 5 days, we can work with you! Send us your current resume with an explanation of your intended career goals and direction at writer@yourproresume.com and we will complete a complimentary review including recommended updates and/or changes. After receiving the FREE resume review, should you decide to place and order, we will send an invoice for your project based on your needs and direction. Review and submit payment through PayPal at your own convenience (no account required). You will receive the first draft of your new resume within 5 business days after confirmation of your payment (rushed services available). After reviewing your new documents, contact us with any revisions or changes that you would like. We are committed to working with you until you are 100% satisfied. Confirm that you are completely satisfied with your new resume and/or other documents. We will then send you the final drafts including an editable Word document and PDF versions.